What Is A Ganglion Impar Block? 1 What Is A Ganglion Impar Block? 2 What Causes Pelvic Pain? 4 How Is A Ganglion Impar Block Performed? If you’re suffering from pelvic pain, a ganglion impar block procedure could help. Here’s what you should know about this pain-relieving technique. Simply put, a ganglion impar block reduces chronic pelvic or rectal pain by blocking nerve impulses that carry pain signals. It’s given in the area of the body known as the ganglion impar. 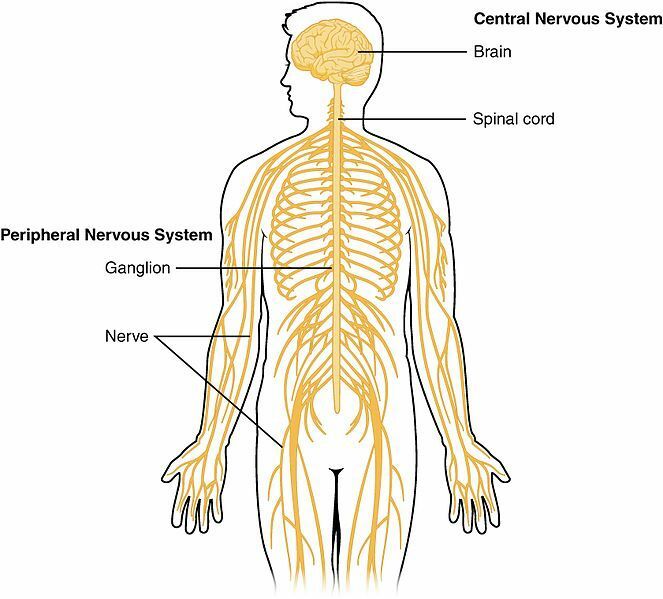 This bundle of nerve cells is also known as the ganglion of Walther or sacroccygeal ganglion. It’s part of the sympathetic nervous system and is located at the sacrococcygeal junction. Furthermore, in some patients pain may be the result of an underlying condition such as an infection (UTI), sexually transmitted disease, or inflammation of the prostate. Before undergoing a ganglion impar block, talk to your doctor to rule out potential causes of your pain. Some patients with pain may find immense relief with a ganglion impar block. The medical literature supports the use of ganglion impar blocks for many types of pain in the pelvic region. For example, a study published in the American Journal of Physical Medicine & Rehabilitation found that one ganglion impar block has the ability to provide complete pain relief of pain in the coccyx region, known as coccydynia. Coccydynia is frequently seen in patients who have fallen directly onto their tailbone. If treatment with anti-inflammatory medication and the use of a donut cushion does not provide relief, a ganglion impar block may help with pain. How Is A Ganglion Impar Block Performed? This type of injection is diagnostic as well as therapeutic. For those patients who do experience pain relief, they do so shortly after having the procedure if the ganglion impar is the real source of their pain. The first successful treatment using a ganglion impar block was reported in 1990 by Plancarte et al. Over the years, the techniques used to perform ganglion impar blocks have evolved to make the procedure more effective and comfortable for the patient. Although there are a variety of methods for this procedure, the transsacrococcygeal approach is the most common approach. It is effective and simple to perform. During a transsacrococcygeal procedure you’ll have an intravenous line placed that delivers appropriate sedation, if needed. The healthcare team monitors vital signs, including blood pressure, heart rate, and respiration rate throughout the procedure. Before, you’ll start in a prone position on an X-ray table with a pillow placed under your pelvis. This helps to maintain the normal curvature of the spine. Your healthcare team will sterilize the area and then use a local anesthetic to numb it. Once the area is sufficiently numb, your doctor inserts a thin needle using fluoroscopic guidance. The needle is slowly positioned between the sacrococcygeal junction, with the tip of the needle placed just beyond the border of the anterior sacrum. A small amount of contrast dye is injected to verify the correct needle positioning. The doctor will inject a combination of numbing agent and steroid into the nerve site. A current prospective study investigated the results of the transsacrococcygeal procedure in 16 consecutive patients. The results showed that the procedure took 12 minutes, on average, to perform and 100% of the patients reported considerable pain relief following the procedure. Some patients can have an increase in pain and tenderness at the injection site for several days following a ganglion impar block. Additionally, diabetics who undergo this procedure may have elevated blood sugar levels as the result of the injected steroid. Ganglion impar blocks are a safe, non-invasive treatment option for various pelvic pain conditions. Patients suffering from chronic pain in regions enervated by the ganglion impar, that has not responded to conventional treatment options, may benefit from receiving a ganglion impar block. Various studies have investigated the safety and efficacy of this treatment option and have shown favorable outcomes. If you want to learn more about this procedure, speak to your pain specialist to see if a ganglion impar block will help you reduce your pain. Foye P, Buttaci C, Stitik T, Yonclas P. Successful injection for coccyx pain. Am J Phy Med Rehab. 2006;85(9):783-784. Johnston PJ, Michalek P. Blockade of the ganglion impar (Walther), using ultrasound and a loss of resistance technique. Prague Medical Report. 2012;113(1):53-57. Lin CS, Cheng JK, Hsu YW, Chen CC, Lao HC, et al. Ultrasound-guided ganglion impar block: A technical report. Pain Medicine. 2010;11:390-394. Menon R, Swanepoel A. Sympathetic blocks. Contin Educ Anaesth Crit Care Pain. 2010;10(2):88-92. Toshniwal G, Dureja GP, Prashanth SM. Transsacrococcygeal approach to ganglion impar block for management of chronic perineal pain: A prospective observational study. Pain Physician. 2007;10:661-666.